The Championship will take place at the RIP Griffin Center in Lubbock, Texas Monday- Saturday, March 20-25, 2017. Twenty-four teams will qualify to participate in the 2017 NJCAA Division I Women’s Basketball National Championship. 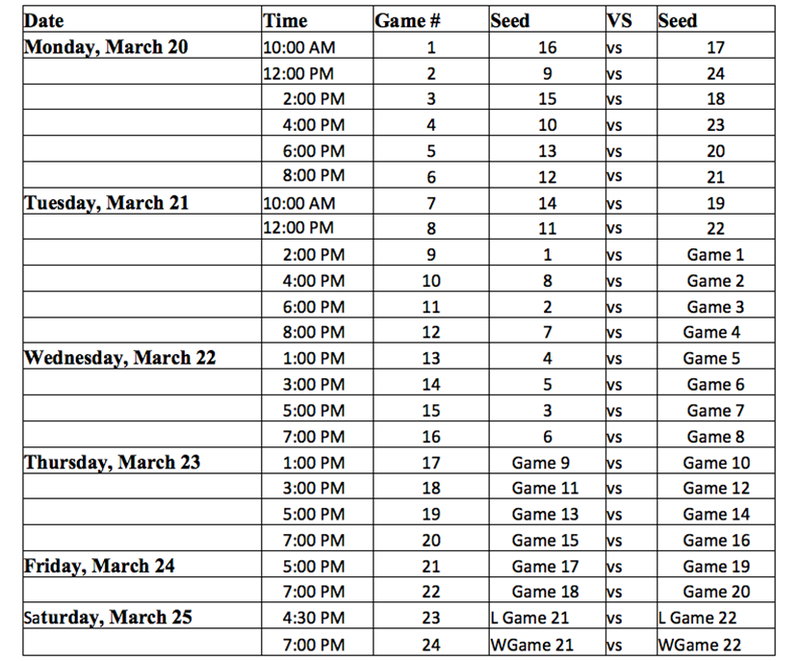 The tournament will be played using a single elimination format consisting of 24 games. Game times follow. This website will be updated to show team advancements, completed game scores and reviews. Click the game day buttons in the navigation or in the button list on this page. A bracket of the tournament will be online at www.NJCAA.org following the NJCAA Committee Conference seeding call.